Created from a billet of 24 alternating layers of argentium silver and copper laminated together, then carved and milled. The process of carving and milling is repeated several times to reveal the desired pattern. 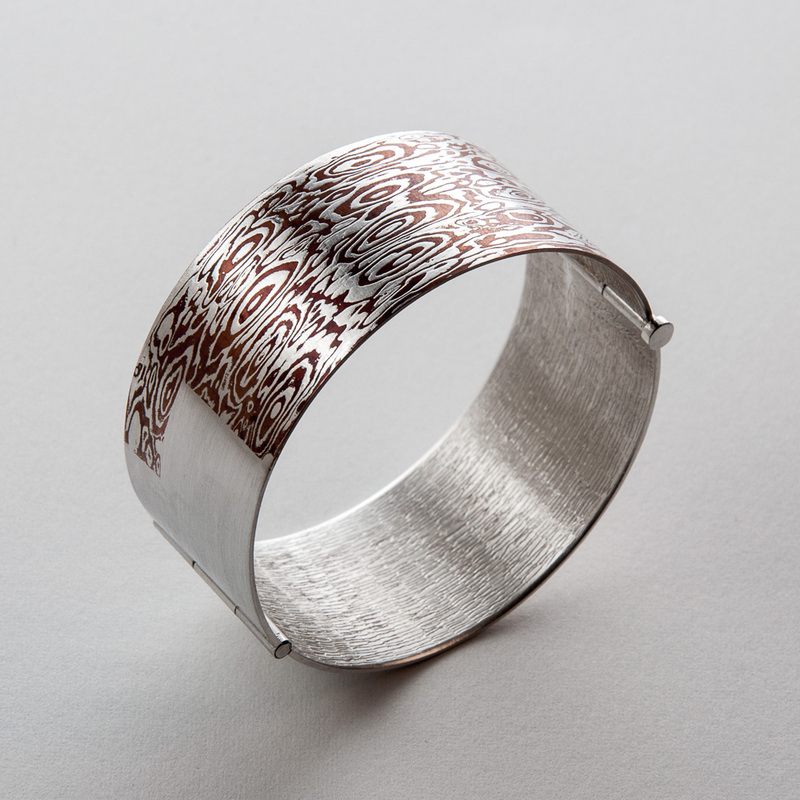 The bracelet is a combination of sterling silver and mokume-gane. The hinged is functional as well as adding detail to the bracelet.